Prerequisite: Certificate in Addiction Counselling: Level 1 or equivalent training and/or addiction counselling work related experience. This training is suitable for: Mental Health Professionals: front-line workers (nurses, clergy, social workers, residential workers), counselors and psychotherapists who provide services to vulnerable populations. In this 2-module certificate program, you must complete all 4 days to obtain the certificate. Please note: the individual modules can be taken separately but you will not receive the certificate. 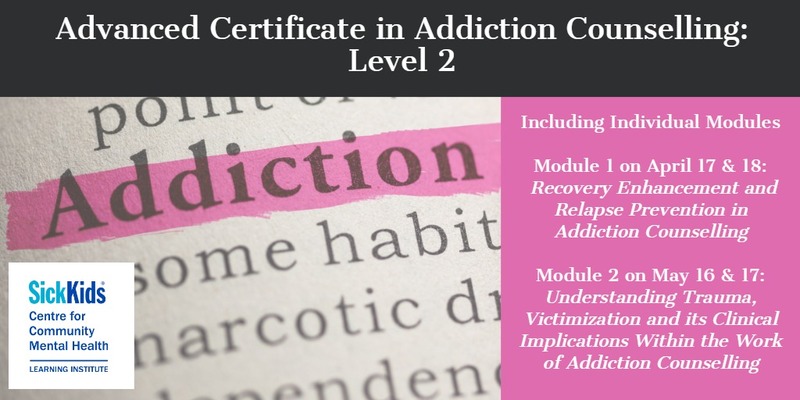 The Level 2 Addiction Certificate focuses on the applied clinical skills required to support the development of individualized, trauma sensitive, relapse prevention and recovery oriented treatment plans. Understanding the high prevalence of trauma for clients within addictions and mental health, developing recovery oriented treatment plans need to be grounded from a trauma sensitive approach. Linking trauma responses/re-enactment to substance use, as a means to manage feelings of "too much" (over arousal) or "too little" (dissociative) and developing recovery plans for addressing both in an individualized way is the main focus of this advanced certificate in addictions. 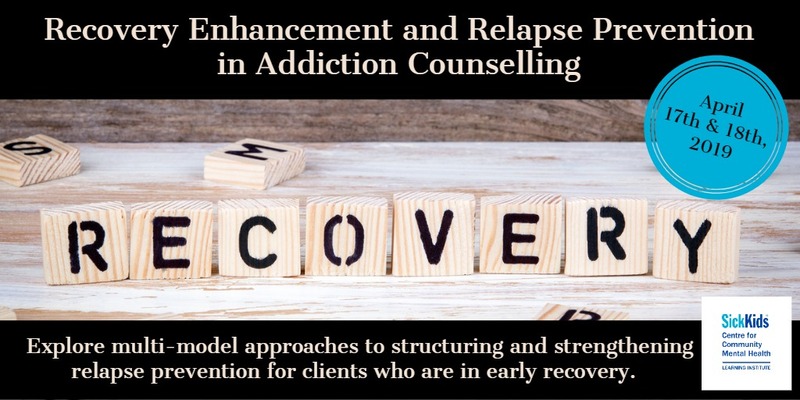 In this workshop, you will explore multi-model approaches to structuring and strengthening relapse prevention for clients who are in early recovery. Cognitive Behavioural Therapy (CBT), as well as mindfulness and Motivation Interviewing therapies are incorporated into this workshop, demonstrating how you can use these approaches to maximize your client's abilities to enhance their recovery. You will learn the stages of relapse, determinants to relapse, assessment phase, craving/trigger cycle, abstinence violation effect, managing craving and unwanted emotions mindfully, ways to enhance self-efficacy and motivation to change using strength-based approaches. This training is suitable for Mental Health and Medical Professionals, as well as Direct Service Workers. Recent research has confirmed what addiction treatment providers already knew to be true: the large majority of people who suffer from addiction issues also have a history of trauma and/or victimization. 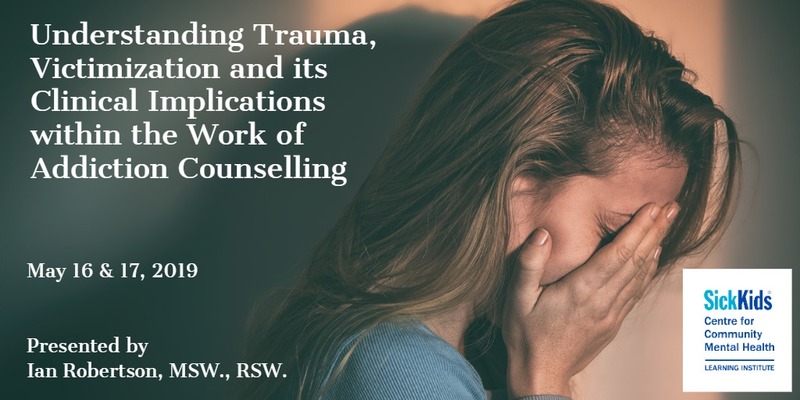 Experiences of trauma can cause lasting psychological and physiological effects including deficiencies in emotional regulation, problem solving and impulse control. This, in turn, can lead to the use of alcohol, drugs and/or addictive behaviours as a "functional fit" to cope with overwhelming emotions, physical dysregulation and other post-traumatic symptoms. This two-day workshop explores the connection between trauma and addiction with a focus on providing knowledge, tools and resources to effectively serve clients who are dealing with both trauma and addiction issues.